If you are a regular reader of my blog, you would have noticed that i have a very unique sense of style. I often describe my style as nostaglic but i guess there is a little bit of granny chic thrown in there also. My favourite room in my house is my bedroom. 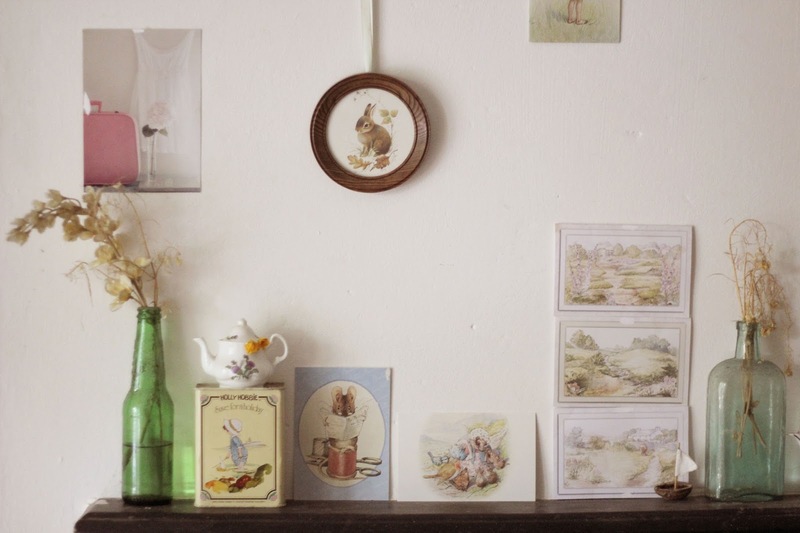 The walls are covered in lace dresses, flower crowns, woodland animals illustrations, bird cages and bunting. My poor husband has no choice but to sleep amongst it all but he is pretty wonderful and really doesn't mind. I think he secretly likes it! I love the fireplace in my room and i love swapping bits around on it. 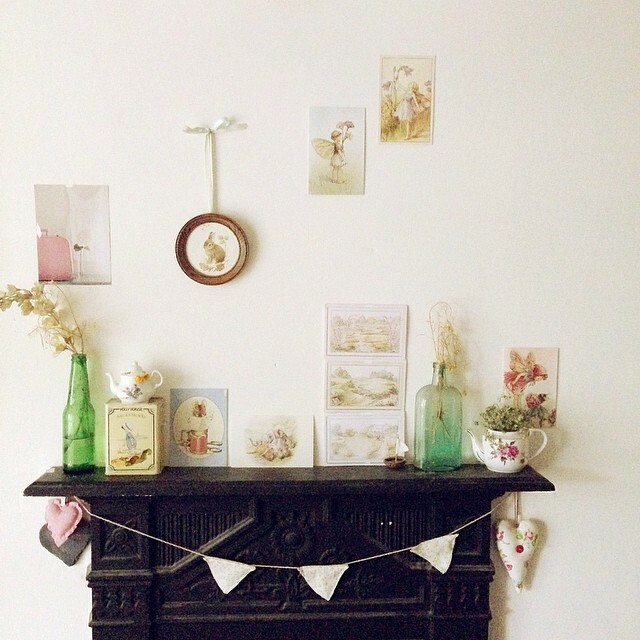 I wanted to share with you the story behind the items i choose for my fireplace. Firstly, yes i have dead flowers on there. I cannot help it. My girls pick me flowers daily and instead of just throwing them out, i either put them in the flower press for our nature journals or i display them. I hate the thought of them thinking i don't appreciate them picking me them and i try to encourage them as much as i can. I actually really love dead/dried flowers and i think they give a rather rustic feel. 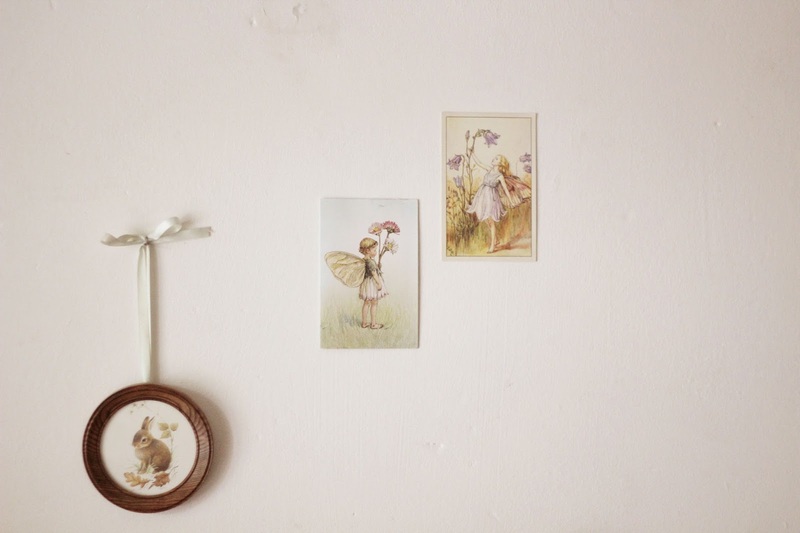 The nostalgic part of me is the flower fairy prints and beatrix potter cards. They were a huge part of my childhood and it gives me a sense of peace to surround myself with them especially in my bedroom where i like to go and sometimes forget about adult responsibilities. There is nothing quite like being curled up under a blanket on your bed reading a fairytale book. I love to make little bits for all around my house from a botanical flower print wall, to gold sprayed crowns to book page paper boat mobiles for the girls rooms. 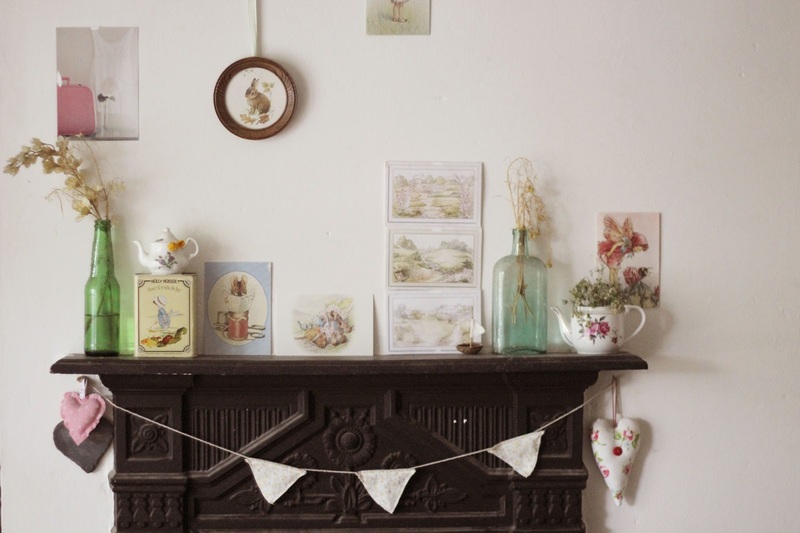 I love to also make up bunting and have little bits of handmade bunting all around the house as well as walnut shell boats that i also love to make., including on the fireplace. I love the idea of having items that no one else has and just using my creativity to make these little displays. When you are a full time mummy, just being able to take some time out to create peaceful and pretty spaces around the house is something i will always love to do and treasure. Tots100 and Victoria Plum are holding a competition for bloggers to share their #shelfies and i am so happy to be able to share mine. Victoria Plum have put together a great british home quiz where you can find your perfect style. I got glamour (think Joey Essex) which i don't think is really me but it gave me some great tips once i had taken the quiz on that style. Why don't you take the quiz yourself and you could win £250! Just beautiful. So different to my taste but I love it. If I was choosing the winner, it would most definitely be you. Very nice, my home is far too cluttered at the moment to be able to take a shelfie pic. I think we have similar taste. I loved the Flower Fairies when I was younger, I still have my book to share with my daughter. It looks very pretty. I love Beatrix Potter's illustrations too. What a lovely focal point for your home, I love the fact that even the dead flowers (which look lovely by the way) have their own story! 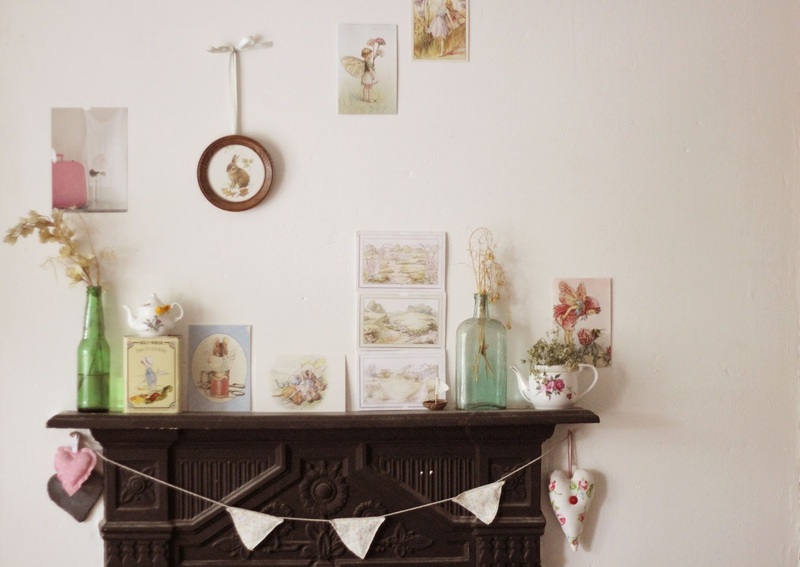 Love the mantel, especially the Beatrix Potter print. What a beautiful bedroom. 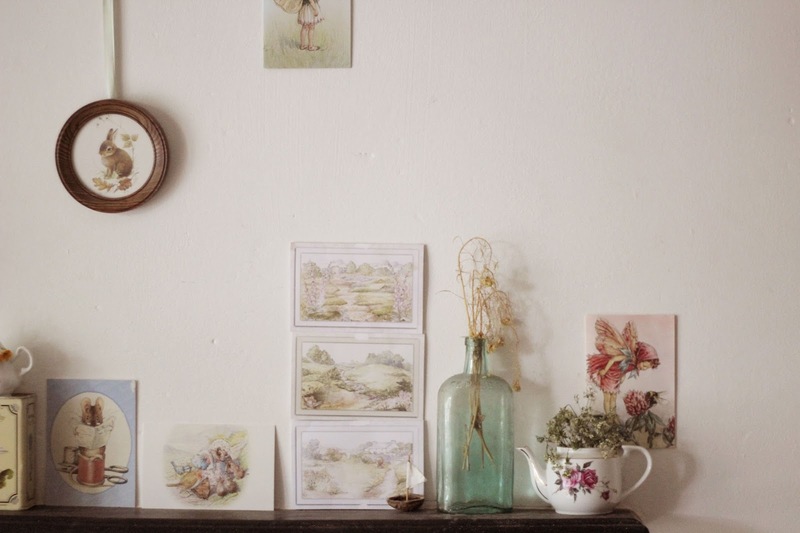 The dried flowers just look lovely - I think you have the most amazing sense of style, I love it. Hope you win, you deserve to!